For the weekend challenge, we’re asking you to write exactly 33 words about rebellion and/or revolt. Interpret it as you will, just keep it to 33 words. If you’re planning a startup Empire- first, ally yourself with clumsy aquatic or adorable woodland species. You may not need them, but they’ve assisted rebels in many critical battles, and always (inadvertently) win. Yes this is a long one – in case you want to skip to what my point is. To go past everything, and be part of the peanut gallery. When the internet was given to Earthlings by alien beings (well assuming they did give it to us, not my other theory that like a bunch of jerks we just swiped it from the computer systems on the Roswell/Area 51 craft, much like in the way the folks at Cyberdyne were stumped on how to create Terminators until *spoiler alert for the one person who never saw it* one got squished in a nearby factory) sometimes I wonder if they did it to help boost our technological advancements in a non-direct way, (like when someone anonymously leaves you Odor-Eaters on your desk, so as to spare your feelings when you obviously got some major feet stanks goin’ on) so that we could build spaceships and come by their house once in a while because they were tired of having to visit us all the time, considering how long it took and the price of whatever they use as fuel (solar cells/batteries would not be effective as they would not be able to focus/charge on our sun until about Mars at least). It is understandable, you very likely have family/friends like that. Or feet stanks. Anyway…what if they did it to be jerks, allowing us (if my other theory is true) to have access to their technology by staging an accident/crash at Roswell, and totally obvious passwords to their user accounts (knowing that we would swipe anything valuable from it)? Rather than to advance us, it was to ruin us, so that we would completely ignore the idea of space travel for more important things, like downloading pr0n, creating games where various breeds of birds commit suicide for the greater good of destroying pigs, stealing music from each other, and arguing about politics. Ok so I have done some of those. One which I avoid as much as possible is *Insert subtle segue into main topic* argue about politics. Notice I didn’t say debate, discuss, palaver, consider, have civilized dialogue on, enlighten, humbly express oneself, empathize or contribute accurate information about. My politics, as with many other parts of my life, are based on my life experiences, and if you are looking to change my life experience, I would rather you pass along harems of swimsuit models. Or the winning lottery numbers. Or the winning lottery numbers hidden somewhere on the harem of swimsuit models. There are topics that I consider to be important – points of view that emerge when you break down and take away outside news, stimuli and worldy interference. These are the things that mean the most to us. I have found that these ‘traditional’, way-we-were-raised, everyday ideas and beliefs best define who we are, and are much more entertaining, enlightening and definitive, with the added bonus that when revealed, create a deep and usually hilarious divisiveness among us, even in their bitterness. We’d defend our beliefs on these issues to the death! (well no we wouldn’t, but it’s nice to think it for a moment). New York Yankees vs. Boston Red Sox. Probably the most bitter rivalry in all of professional sports. Personally I am proud to be part of this rivalry, and even happier that I support the better half that is the Yanks. It’s helped my posture to not endlessly hang my head in shame. Until 2003 I had a wonderful legacy to pass along to my children. Eh I still do, as the Red Sux’ feats will always be outnumbered by their defeats. Some of my fondest memories were the late 80’s/early 90’s when the Yanks and Sux were bottom dwellers in the American League East, and maybe 25,000 would show up to the Stadium to hash it out with one another about who might be bad, “but at least we beat YOUR asses!” I will admit though that having been to a game last year, both Yankee and Sux fans were being incorrigible assholes. Like I said, it was more fun when they were both bad. Please note that the Yankees/Mets rivalry is mainly fizzled out; they play in interleague, they had the 2000 World Series. All loathing and bad wishes must be dedicated to keeping the Sox out of the playoffs; even if the Yanks don’t win it all, as long as Boston flounders, all is well. On the chance the Sox play the Mets, you root for the Mets. If the Sox play a team full of arch-villainous, nun-slapping, candy- from-children-stealing, terrorist litterbugs, guess who you root for. Right answer! New York Giants vs. New England Patriots. 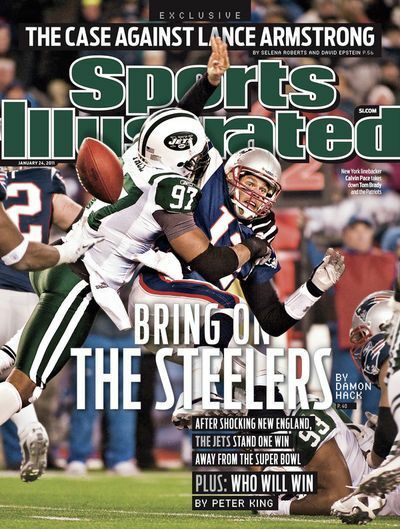 Though I am a Jets fan/sympathizer, the rivalry technically goes to them, since it is a divisional thing. Also they have sparred in recent years in the playoffs, with the Jets wonderfully knocking the Patriettes out back in ‘10-‘11. The Patties routinely have the last laugh though, as beating the Jets contributes to their overall record. However, now that the ‘Gints have beaten them twice in the Super Bowl, a deep hate is brewing. It truly is a wonderful thing that BOTH teams in one city can have a rivalry with a specific opponent. Another note; everyone hates the Dallas Cowgirls. Which is good. (Except the cheerleaders; make some noise when they shake their…pompoms. Some things are bigger than the game). Also, for some reason a lot of people hate Ohio State. Which is fine by me. My ire towards them is related to my cousin’s ex-husband , who was an Ohio State fan, but even more so, a total schmuck. Star Wars vs Star Trek. Well I like both of them, and both have become definitive examples of science fiction, especially on the movie/tv medium, but I have to go with Star Wars by a long shot. I can go on about The Millennium Falcon vs. the Enterprise in a space battle. Probably for a longer time than it would take for the Falcon to take on any version of the Enterprise. That’s right, I went there. If the Original and Next Generation versions teamed up, Han and Chewie might break a sweat. Keep in mind that even though this is a general us vs. them rivalry, there is even more internal debating. For the Trek, it’s always a question of who is the better Enterprise captain. I admit that I was a Kirk traditionalist, but after watching the Next Generation series on Netflix all the way through (don’t worry, I didn’t do it over a weekend. More like 2 weekends. I kid, I kid), I gotta go with Picard. Is there a Scotty vs. LaForge engineer debate, who would win in a Romulan / Klingon war or Uhura vs Troi hotness comparison? Outside link: Check out Last Hero Standing for more video game/scifi/comic/general geek matchups. Peanut butter. That’s right, good ol’ PB. The food that launched a thousand ships. But, what’s the rivalry you ask? (probably regretting that you ask, even as the words pass through your mind). 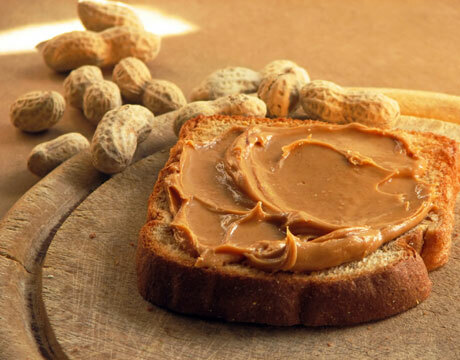 Well, ask yourself the following: What kind of PB do you like? Smooth, crunchy or super crunchy? Jif, Skippy, or some other brand? Where do you store it after opening, in the fridge or cupboard? Sorry but you are wrong! Ohhh I really got you fumed now huh! We were doing so well here, what with you not caring if Uruha’s microskirts are better than Troi’s bodysuits. But this is what I am trying to say. It’s the small things. The things you were raised to accept as true. One of my best friends likes Skippy, Super Crunchy, and stored in the fridge. I suggested (as in taunting her)that she just smear it on her bread with razor blades if she wanted to shred every slice she had. (Yes we are still friends). Which way should the toilet paper hang, over or under? I’m under, all the way. You pull down to unroll, then yank up to break it off. Simple. The roll does the work of helping you cut off a perfect piece for your bizness. Over is incorrect. If I am at your house and it is the other way, I might change it! You’re welcome. Well here is where I turn it to you! Audience participation is always fun. What are some rivalries or seemingly insignificant disagreements that you would/have ended friendships or affiliations on (and justifiably so!)? *Credit to RichFullLife for inspiring this idea of deep debates on obscure questions!